KANSAS CITY, MO--(Marketwired - January 07, 2016) - Filing a federal and state tax return through H&R Block (NYSE: HRB) has never been easier. 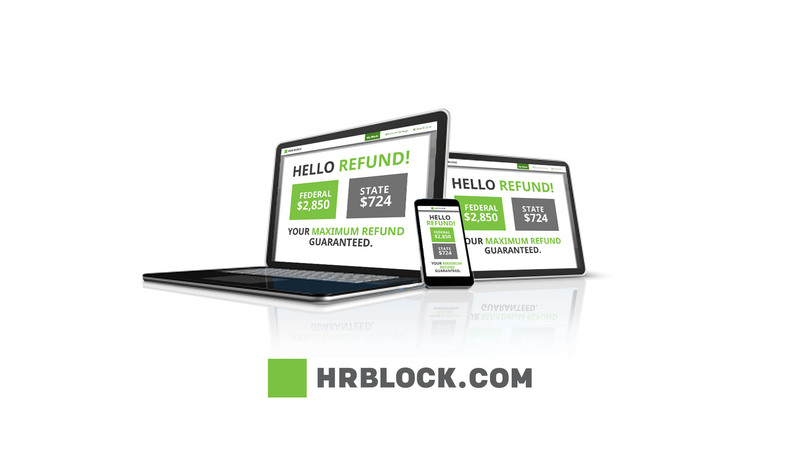 And for more than 80 million taxpayers the federal tax return can be free with H&R Block Online. 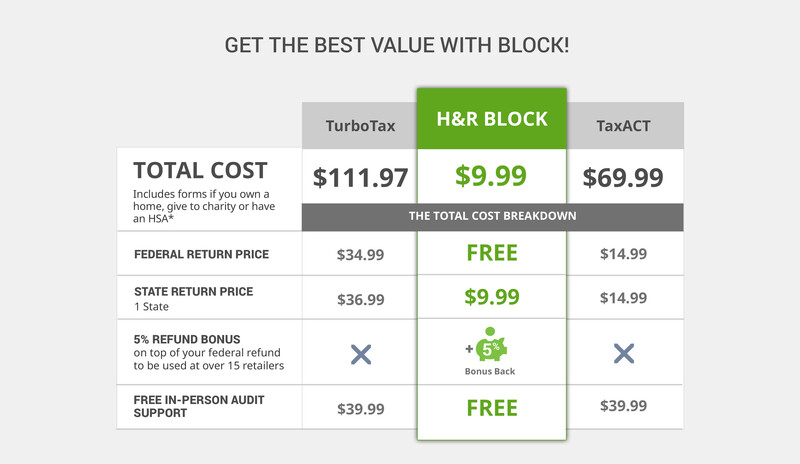 In addition to H&R Block's free federal return offer, filing a state income tax return costs only $9.99 at hrblock.com starting January 8. In fact, approximately three out of four typical DIY filers can file with H&R Block's Free Edition, which includes forms for homeowners, those who give to charity or have a health savings account. Plus, those who file with H&R Block's Free Edition can earn a 5-percent bonus on top of their refund when they elect to put all or part of their refund on e-gift cards from a number of national retailers. It is important to understand what is included in the free products across do-it-yourself tax solutions, as many limit which filers qualify. For many taxpayers, other brands' "free" products could actually cost 10 times more than it costs to file a federal and state tax return using H&R Block Online. "Our goal is to provide the best value in the industry to the most people," said Heather Watts, general manager of H&R Block's digital tax preparation solutions. "Not all free offerings are created equal. For example, taxpayers who itemize can file their federal return free with us, but would have to pay to upgrade with other online tax prep brands." H&R Block's DIY solutions are focused on convenience to fit well with taxpayers' busy lives. "With H&R Block Online, you can start, pause and resume your tax preparation at your preferred pace and do as much or as little as you want in a single sitting," Watts said. "Our solutions allow taxpayers to personalize how they start, work on and complete their returns. And, we make it easy for taxpayers to switch from a phone or tablet to a computer and back again as they prepare their taxes." Taxpayers will find several key enhancements to H&R Block's DIY options this year, including stricter security protocols to fight against stolen identity refund fraud, the ability to import key Affordable Care Act tax forms, increased capabilities for Schedule C filers, and expanded mobile capabilities. And as always, H&R Block DIYers receive free, unlimited advice from a tax expert through real-time chat; guaranteed maximum refund and 100-percent accuracy; and the industry's only free, in-person audit support with representation. Taxpayers may visit http://www.hrblock.com/online-tax-filing/ to use H&R Block's DIY online services, download the tax app from the Apple App Store or Google Play Store or visit http://www.hrblock.com/tax-software/ to download H&R Block DIY software. Software also is now available at select retailers for purchase nationwide. Hello Refund! Get the best value with Block. Get the best value with Block!